The Congress today attacked the central government over the reported resumption of fertiliser subsidy to farmers in poll-bound Gujarat through a state body, terming it an "election lollipop". NEW DELHI: The Congress today attacked the central government over the reported resumption of fertiliser subsidy to farmers in poll-bound Gujarat through a state body, terming it an "election lollipop". 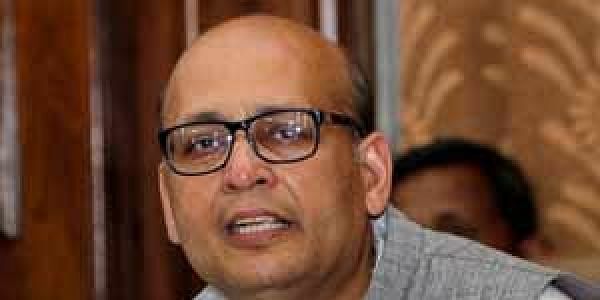 Talking to reporters here, Congress spokesperson Abhishek Manu Singhvi also demanded that Prime Minister Narendra Modi come clear on the "scam". He said the UPA government had earmarked a specific amount of money as fertiliser subsidy for farmers of Gujarat. The money was "pocketed" by the Gujarat State Fertilisers and Chemical (GSFC) Limited, he alleged. On learning about it, the UPA withdrew the money so that better steps could be taken to ensure transparency, Singhvi said. The BJP government at the Centre "forgot" the issue, he added. In the meantime, judicial procedure was followed and the state body was found guilty of pocketing Rs 986.56 crore, the Congress leader alleged. "It is intriguing that instead of following legal procedures, the Modi government withdrew the case and made an out-of-court settlement with the GSFC in March and agreed to resume subsidy from that month itself," he claimed. "Clearly, the Gujarat elections acted as a definite factor in resuming the subsidy... it has become another election lollipop," he told reporters.